Full details of this Supporting Site can be found in the case studies listed below. 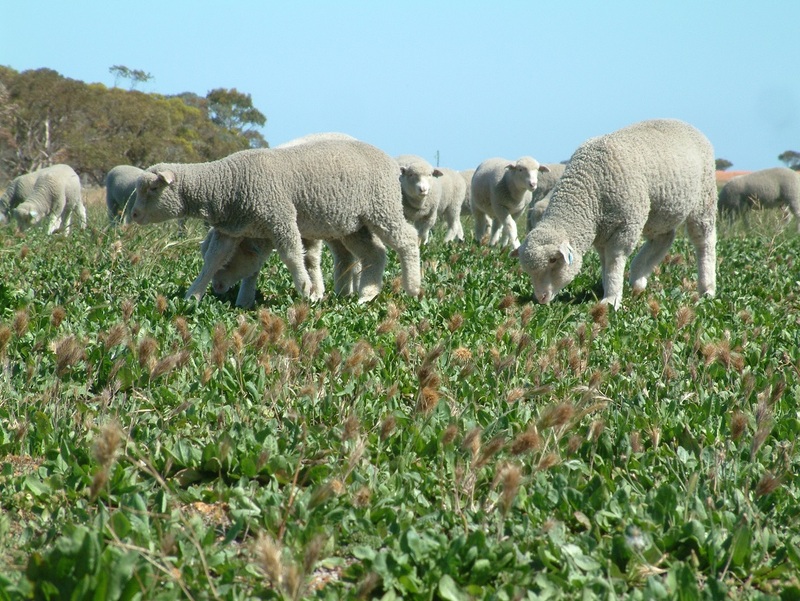 “The cost benefits of finishing lambs to target weights in the chicory/ lucerne paddock and a reduced time on pellets in the feedlot far outweigh the costs of establishing the perennial pasture.” Thys Gorter. Site focus: Erin and Thys Gorter were looking for a pasture system to background lambs prior to feed-lotting, aiming to both improve lamb quality and reduce the time in the feedlot. They compared a chicory/ lucerne mix to annual pasture, including the financial benefits of each. Soils: Gravel loam, sand over clay. A 32 ha paddock was divided into four small paddocks, each with water to allow cell grazing. Lucerne was sown as the legume to provide nitrogen for the chicory. The annual pastures include predominantly sub clover and annual ryegrass with varying amounts of broadleaf and grass weeds. 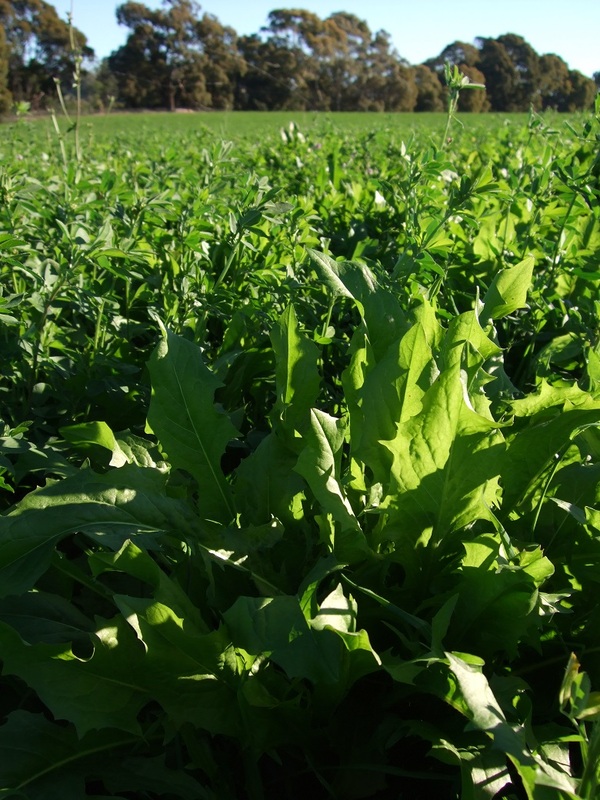 The production and financial benefits of the chicory and lucerne mix were compared with an annual pasture on the farm. The chicory/ lucerne paddock was sown mid-September 2006. Prior to sowing it was spray topped in spring 2005 and top dressed in January 2006 with 3:2 super/potash. Weed control is critical when establishing a mixed–species perennial pasture. Broadleaf weeds were sprayed before sowing. Fences and troughs were set up to enable rotational grazing. The chicory and lucerne (SARDI 10) were sown by a contractor in alternate rows at 10 millimetre depth, or as shallow as the disc machine would allow. Discs minimised soil disturbance and press wheels helped germination rates. The alternate rows ensured an even spread of the species across the paddock provided a means of controlling the sowing rates. Fifty kilograms per hectare of mono-ammonium phosphate (MAP) was applied during October 2006. High levels of red-legged earth mites damaged both the chicory and lucerne in spring 2007 and were sprayed. Broadleaf weed management (erodium and capeweed) proved a problem after establishment. Not spraying during the first autumn was a mistake as the weeds, especially the capeweed, set the lucerne back. Pest and weed control for the mix was challenging. Perennials carried 17 DSE/ha compared to 10 DSE/ha on annuals. Using a cumulative cash flow model the lucerne/chicory was able to reach a breakeven point in just under four years. This indicates that for a stand to be profitable it needs to survive and be productive for at least four years. Over 10 years the modelling indicated that the lucerne/chicory would produce a cumulative cash flow of $243,000 compared to $88,000 for the annual system. Rotational grazing is essential for persistence of a chicory/ lucerne mix and requires appropriate infrastructure. More perennials have been planted by the Gorters in an effort to further reduce feed costs and increase production. These have primarily been targeted at areas difficult to crop (eg kikuyu on deep sand) and have proven very successful. EverGraze research at Wellstead tested the value of including chicory, kikuyu and lucerne in sheep systems for growing lambs. It was found that chicory and lucerne were both ideal for this purpose due to their high metabolisable energy, while kikuyu was better used for maintaining breeding stock.